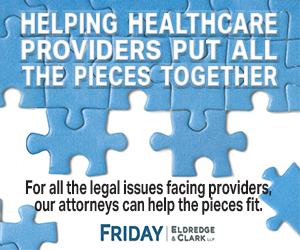 Arkansas healthcare providers are currently faced with a double challenge. Government programs and private insurers are requiring payment reforms to reduce costs while at the same time demanding better patient care. 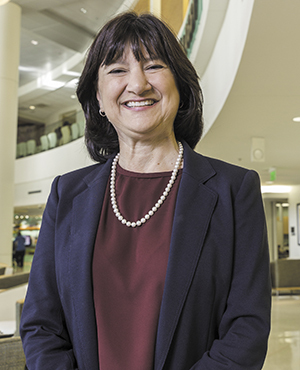 "I think the bottom line is that we are going to need to have better coordinated care than we have had in the past," said University of Arkansas for Medical Sciences (UAMS) Interim Chancellor and Provost Stephanie Gardner, PharmD, EdD. "We are working in a lot of different ways to prepare for payment reform and care delivery. We are working with other health systems to develop residency programs. We're also working with other hospital partners in a shared services organization to improve care and contain costs in an effort to better coordinate and provide population health initiatives." Gardner doesn't see the mandates to improve care and reduce costs to be impossible objectives. She believes they will gain efficiency and become more effective. "We are going to seek ways to make care more accessible and a good example of that is through telemedicine," Gardner said. "We've already been able to use telemedicine to extend the expertise of clinicians in the areas of high risk pregnancies, stroke, geriatrics and mental health." Another strategy is regarding patient and family-centered care that involves making sure the patient and his or her families are part of the healthcare team. They make a strong effort to ensure the family of patients is involved and able to join the patient member in appointments and be part of discussions when the physician and team are deciding care. Within the hospital, they have extended patient visiting hours. Another effort is extending clinic hours to make it easier for patients to access providers outside of normal office hours. "A focus on quality is important, too," Gardner said. "It is a focus on our star rating and trying to make sure we are not only providing care that costs less, but we are providing the highest level of evidence-based care that we are capable of providing." Carrie Helm, CEO, Arkansas Surgical Hospital (ASH), said improving care while reducing costs is a continuing topic. "The commitment at ASH is we will not sacrifice quality for cost," Helm said. "Sometimes that is a tough row to hoe, but I think we have done that successfully. The approach is that everybody here at the hospital is involved in the care that we deliver. It is really not about the CEO; it is more about the team. The CEO puts structure into place. The team executes each and every time." Helm said their team of 300 has the foremost objective of providing excellent care for patients so they walk away with a positive outcome. While it goes by many names, quality care comes down to making sure patients receive the care they deserve. "To me, it is not that complicated," Helm said. "It is the Golden Rule: Treat others as you would be treated. Be honest. If something occurs, let them know it occurred and how to address it. Be kind, respectful and treat people with dignity. In healthcare, if you aren't a servant, you shouldn't be there. And quality tends to be fruitful from a business standpoint. It doesn't mean hard choices don't have to be made, but it means you don't sacrifice quality to save money." ASH is a physician-owned hospital and Helm gives a lot of credit to them. "The surgeons here are spectacular," she said. 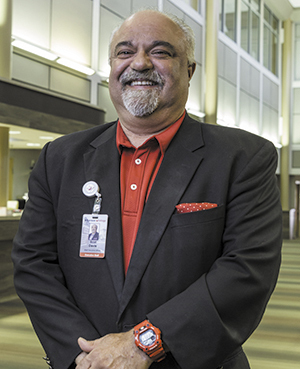 "They take an active role in the care that our patients receive. They set the example here. Without that, you can't accomplish what we have accomplished." Brad Parsons, CEO, NEA Baptist Health System, said the downward pressure on hospitals and the healthcare system is evident everywhere. "It is a challenge to see if we can change the way we do business in face of the risks we have," Parsons said. "The double challenge of improving care while reducing costs is made even more difficult due to the fact that Arkansas and the South have traditionally been paid less for medical services than other parts of the country." Four years ago, NEA Baptist Health System opened a new medical campus with the hospital connected to the clinic to house all of their medical specialties and subspecialties. 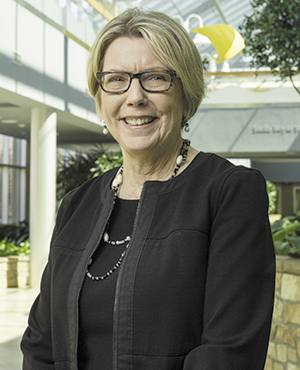 "That integrated model for care is really positioned for the value-based world," Parsons said. "We have developed an integrated model for care. We have built a whole new department called care management based on value-based initiatives that help us transition to the value-based world. We keep our patients at the center of that. We are really focused on improving care for patients and that is our focus or our real true north." Parsons said they believe the care management platform helps them move toward a health and wellness component. Patients are getting better preventive care and screenings to help them stay healthier. Reducing the total cost of care is especially challenging in light of the Medicaid expansion in Arkansas that created unique challenges, in that many enrolled in that program have medical coverage for the first time and their care costs more. "Everybody is looking at the cost of this expansion," he said. "I would contend this population has to be included in the system and we have to get their healthcare costs under control in order to move to a value-based platform." 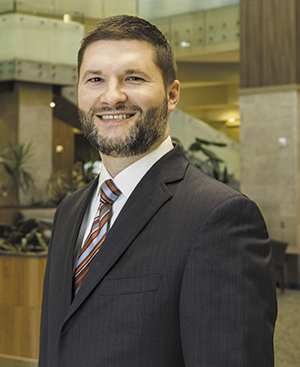 Scot Davis, CEO of Arkansas Urology, said one of their many uses for technology is to ensure patients are given the correct information for their treatment pathway. In urology, the four most common diseases or conditions treated are prostate cancer, overactive bladder, BPH (enlarged prostate), and kidney stones. "So, within those four clinical pathways, we have dedicated staff who manage those treatment algorithms," Davis said. "The value in having those pathways is that we are treating these conditions in a similar fashion to receive similar outcomes. However, the challenge with pathways is that individuals don't always necessarily react the same to those treatment plans. In other words, the challenge for many physicians is how to manage population health and yet provide personalized care for individual patients." Another method of gauging success is patient satisfaction surveys on each physician which are shared monthly with the entire group. Long waiting times can cause patients concerns, but Davis said since Arkansas has a shortage of urologists, it can be a challenge for providers to see all the patients in a timely fashion. Communicating well with patients is another goal. Davis said insurance companies are moving toward patient accountability for their own health, and one way to do that is have the patient communicate with their healthcare providers through a web-based patient portal. One of the most significant projects to improve pediatric care in the state is the new $167 million Arkansas Children's Northwest (ACNW) that opened in February. 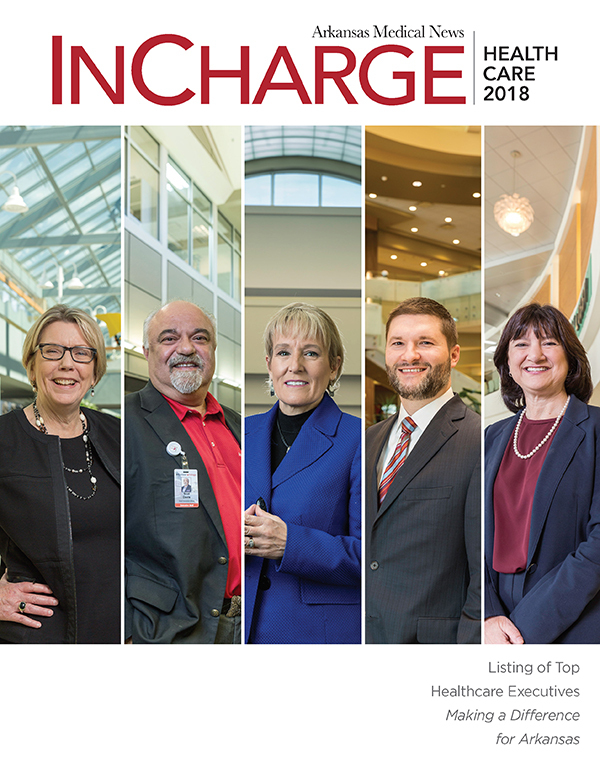 Trisha Montague, MS, RN, senior vice president and chief administrator for Arkansas Children's Northwest (ACNW) in Springdale, said the new hospital is the most significant manifestation of the strategic plan by Arkansas Children's to transform pediatric healthcare delivery in the state. 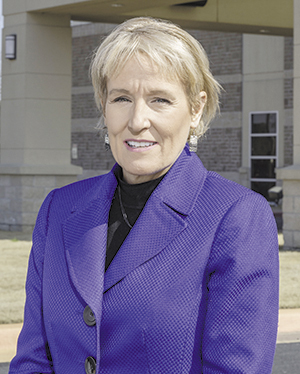 "Arkansas Children's Northwest shows our financial commitment to that goal," Montague said. "When you look at opening a freestanding children's community hospital, that in and of itself is transforming care for that community. Children's healthcare is different than adult healthcare. As we've heard people say, they are not little adults. They have their own disease processes and disease entities. Having the expertise to know what the child needs, helps improve outcomes." The hospital is fully staffed with 30 physicians and a total of 275 employees including pediatric nurses and social workers who specialize in children and families. 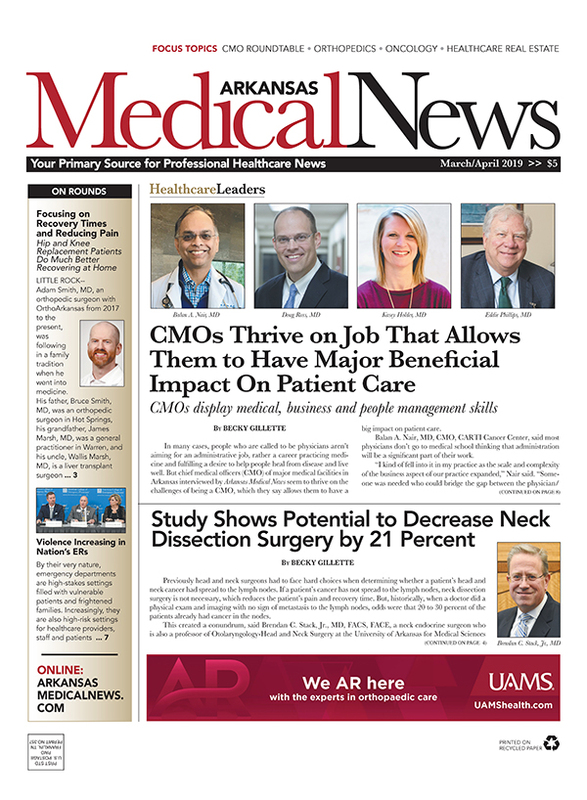 Many of the physicians represent pediatric specialties not previously available in Northwest Arkansas such as pediatric surgery, cardiology, hematologyoncology, ear nose and throat surgery, orthopedic surgery and emergency care. "All of those things will begin to impact the quality of care children receive in Northwest Arkansas," Montague said. "As soon as a child crosses the threshold in our hospital, he or she is quickly stabilized and treated with what they need by people who specialize in the care of children. That is the big impact that we are having. We are providing care close to home for children and families who previously had to travel up to three hours for that care." Montague said that for ACNW, cost containment is about challenging themselves to have a different structure for leadership and management as a streamlined way to provide service. "We are creating a culture and environment for providing care close to home in as economical and efficient a manner as possible," she said. "We have been very purposeful about developing a lean administrative structure that allows us to focus our resources on direct care providers and eliminating as many unnecessary levels as possible."